Sometimes, the best insider information comes from outside. 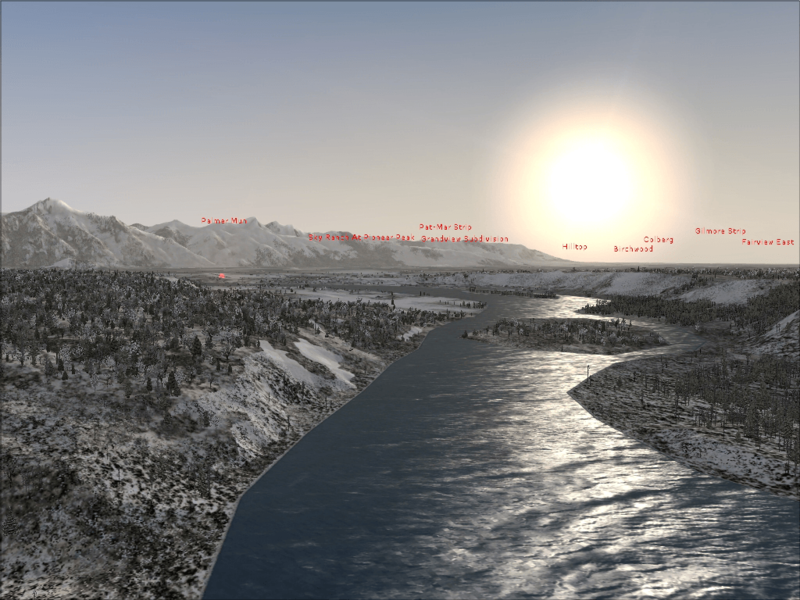 A dedicated FS user named Lamont Clark posted in his FS wiki instructions for enabling an undocumented feature in Flight Simulator X that displays airport names above airports while you’re flying around. A great “cheat” for navigation! Here’s how to enable the feature. Try this only if you’re comfortable finding and editing configuration files! If you don’t see the Application Data folder, you need to turn on Show Hidden Files and Folders (see below). If you don’t see the AppData folder, you need to turn on Show Hidden Files and Folders (see below). Make a backup copy of this file and put it in a safe place in case you ever want to revert to the original file. Open Standard.xml with Notepad or another text editor. Start Flight Simulator X, fly, and press Ctrl+Shift+P (or whatever you assigned it to) to toggle airport name display on and off. You might be surprised at how many airports you come across that you’ve never noticed before! Oh, and if you were so devil-may-care as to ignore step two, and then find that you want to undo your changes, just delete Standard.xml, and FSXwill replace it with a clean copy the next time it starts. In the C:\Documents and Settings\<user> folder, click the Tools menu , and then click Folder Options. In the C:\Users\<user> folder, click Organize and then click Folder and Search Options. In the Advanced Settings area, click the Show hidden files and folders radio button.